The Center for Active Design (CfAD) has announced the winners in its annual Excellence Awards, which honors buildings, public spaces, and, for the first time this year, research, that promotes active lifestyles. All competition entries had to meet at least one of CfAD’s “Active Design approaches,” which include Active Transportation, Active Recreation, Healthy Food Access, and Active Building. After a blind selection process, a jury picked six winners and five honorable mentions. “Regardless of the size, location, or use, the Excellence award winners serve as catalysts for broad based community transformation, maximizing their impact by embracing a cross discipline approach to the design process, which in many cases included use of the Active Design Guidelines from the outset,” said Joanna Frank, the center’s executive director, in a statement. This year’s winners will be recognized at “Celebrate Active Design” in New York City on May 11th. For more information on the event visit the CfAD’s website. You can read more about the winners and honorable mentions below. 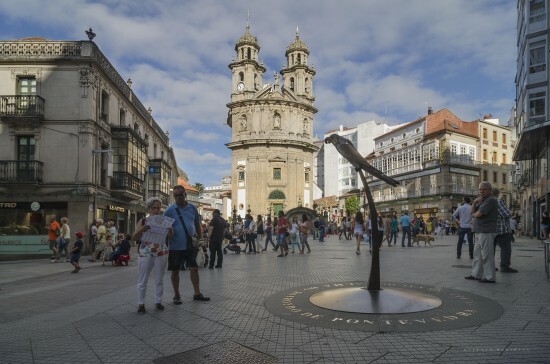 City council members led by Mayor Fernández Lores, began their quest in 1999, by developing a community-driven master plan that prioritized people and public spaces. … The occupancy of the public spaces post-renovation was almost immediate. 81% of schoolchildren walk to school, half of them on their own. Traffic has decreased by 70% in the downtown area and 30% in the city overall between 1996 and 2014, with zero fatalities due to accidents in the last eleven years. The space devoted to pedestrians and cyclists in streets and squares increased over 60%, using space that was previously devoted to motor mobility and parking. Sidewalks were widened, streetlights improved, and over 400,000 street trees were planted throughout the city. 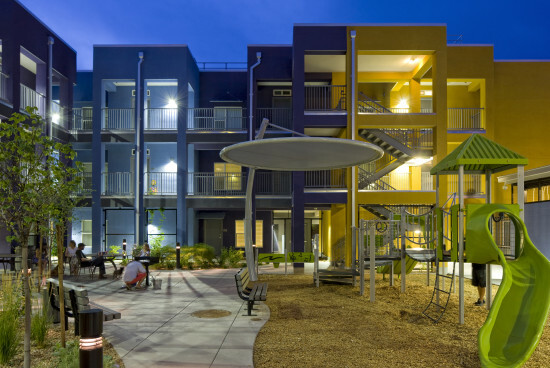 By prioritizing resident health in the design, construction, and maintenance of public spaces, Pontevedra is a pioneer in the Active Design movement. 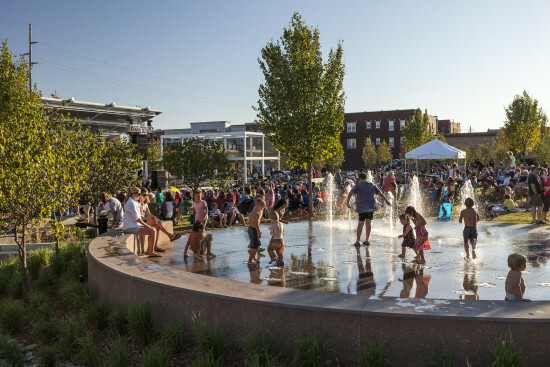 Submitted by the SWA Group, the 2.7-acre Guthrie Green Park serves as a central hub for social and cultural events for the community, now receiving over 10,000 visitors annually. Given that Oklahoma has some of the worst obesity and life expectancy rates in the country, team members aimed to use this project to promote health and physical activity among residents. The design converts a former truck yard into a flexible venue for community gatherings set among gardens, a central lawn, park pavilion, outdoor stage, and interactive fountains that invite visitors to connect with nature and join community events. A geo-exchange grid under the park supplies heating and cooling for nearby non-profit organizations, further contributing to revitalization of Tulsa’s downtown Brady Arts District. The Stanford Healthy Neighborhood Discovery Tool, is a research project that empowers citizens with technology to have an impact on policy decisions that effect the built environment. Researchers from the Stanford Prevention Research Center and the Stanford University School of Medicine, equipped resident ‘citizen scientists,’ with technology, allowing them to asses their neighborhoods and advocate for more support for healthy living. Using recorded, geo-coded photographs and audio narratives, GPS-tracked walking routes, and survey responses, residents have successfully engaged policy makers and collaborated on funding decisions for built environment improvements. The citizen scientist application has now been used in three countries (Mexico, Israel, USA), leveraging resident ‘citizen scientists’ and mobile technology that empowers communities to promote active living and healthy eating. 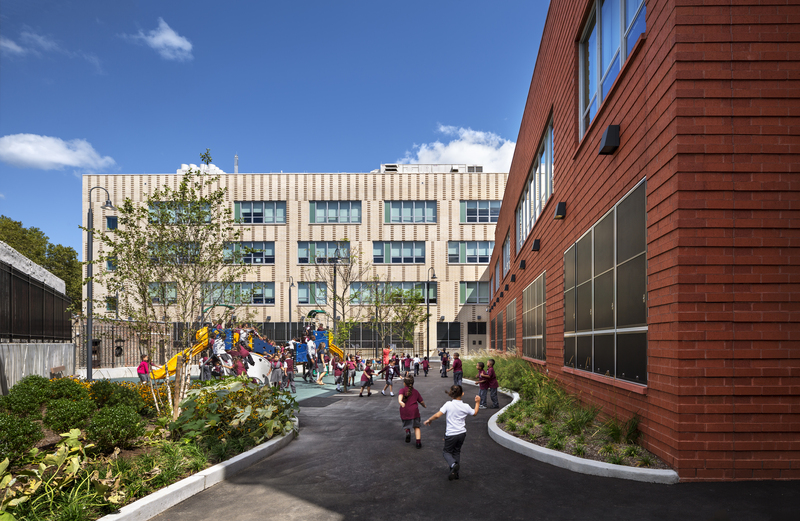 Space to Grow is a multi-sector partnership that transforms Chicago’s aging, and in many cases underutilized, schoolyards into dynamic outdoor spaces that support physical activity, learning and community engagement. Selected Chicago Public School schoolyards are located in urban neighborhoods that have a deficit of recreational facilities and green space, and that are also prone to flooding during heavy storms. The project is co-managed by Healthy Schools Campaign and Openlands – two Chicago based nonprofit organizations, and is funded by Chicago Public Schools, the Chicago Department of Water Management, and the Metropolitan Water Reclamation District of Greater Chicago.